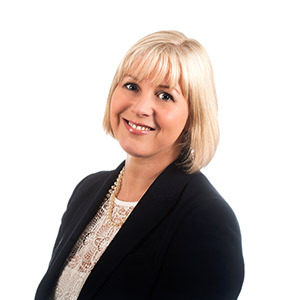 I have over 20 years experience in the law and I have spent all of those years at Birchall Blackburn Law. My areas of expertise include wills, trusts, probate, and legal services for the elderly. I am a court appointed Deputy with experience in dealing with Court of Protection matters for vulnerable adults, children and the elderly. Qualifications and professional achievements: LLB (Hons), Court of Protection Deputy Panel, Member of Solicitors for the Elderly, Law Society’s Private Client Section. Personal Accreditations: Court of Protection, Panel Deputy, Solicitors for the Elderly (SFE), Full Professional Member. How did you end up working for a law firm? Whilst at school in Northern Ireland, I went on a school trip to a major civil trial at the Courts of Justice in Belfast. I was fascinated by the whole process and from then on only ever wanted a career in law. Unusual fact: I was on a BBC Children’s programme called ‘Why Don’t You?’ in 1980. I thought my white canvas flares and dolly sandals were the height of fashion but 30 years on my children just think I look hilarious.